Get ready to join the fearsome band of the Norse warriors, in this Vikings of Fortune slots empowered by Blueprint Gaming. This slot game has a very epic theme, which is beautifully matched by the wonderful design of the game outlay. Fortunately, the Vikings of Fortune slots does not require anyone to become a king of the Vikings, but instead of that, they only want the slot players to enjoy the gameplay and to win some exciting prizes. Moreover, this slot game also includes some superb visuals and sounds, alongside an exciting bonus feature. It has an RTP of 95.03%. This slot game is beautifully designed with 5 reels, 3 rows and 25 active fixed paylines; and those elegant golden reels spin across a dramatic background of snow-covered mountains, lakes and trees. 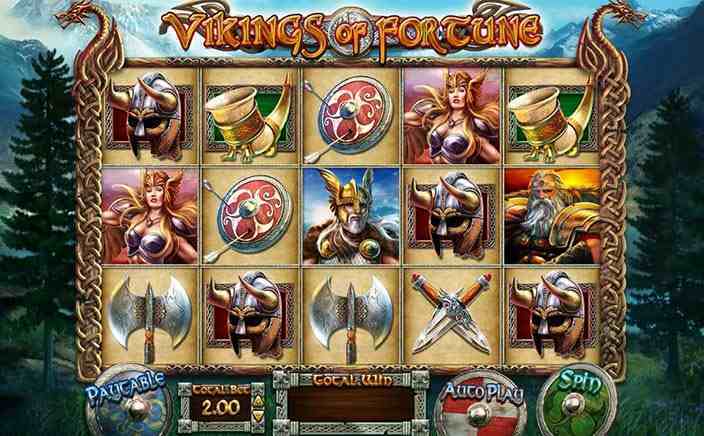 Vikings of Fortune slots includes well-crafted symbols, and all of them relates to the theme of this slot games, such as a longship, three angry looking Vikings, an axe, a shield, crossed swords, a war horn and a helmet. The sword handle is recognised as the wild icon, which can replace all the other symbols except for the gold Bonus icon. The beginners can play this slot game with a minimum value of £0.25 per spin, as their beginning point can afterwards increase by using the Total Bet window located under the reels. Moreover, with the availability of a betting limit of up to £500.00 per spin, it makes Vikings of Fortune more favourable for the high rollers too. If Thunder Streak Wild icon appears on the reel 3, then it will swell to cover an entire area on that reel. After doing so, the reels will continue to spin with the winning combinations frozen in that place. The spins will only stop when no more symbols get added to the combo, and the payouts are revealed on the screen. 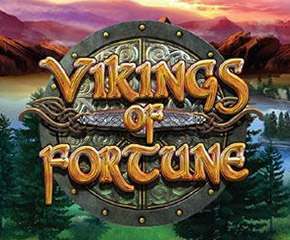 Vikings Of Fortune slots game is one of the best online slot game developed by Blueprint Gaming. This slot game possesses great graphics, the electrifying soundtrack has done a proper justice to the theme to this game. Also, it has medium variance and one can win a maximum jackpot of up to 25000x times of their stake.